U.S. Cellular, the 5th largest wireless network provider in the U.S.A. has joined the league of carriers on the 5G land rush. The organization revealed its plan to launch its commercial 5G service in the second half of this year, 2019. This makes the U.S. Cellular the biggest Tier-2 wireless company to have announced the launch of 5G in the United States. The company stated that it will liaise with Ericsson to purchase its equipment for the launch. 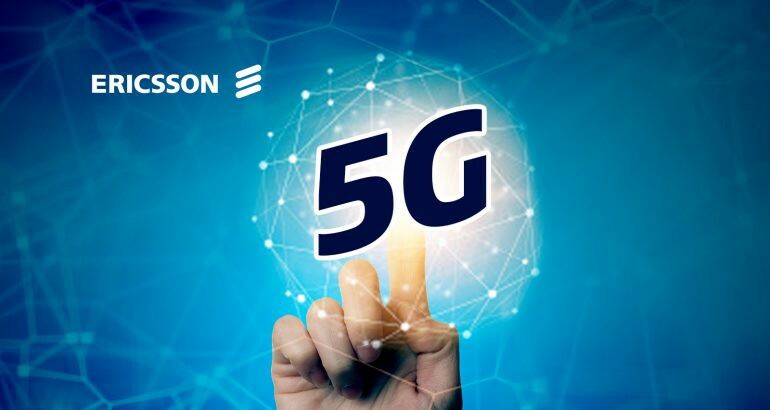 This comes as no surprise as the company has worked with Ericsson back in 2016 to test the 5G technology when it was in its infancy. It is also of import to mention that Ericsson is a major supplier in the 5G landscape and has worked with top carriers in the nation, including Verizon, T-Mobile, and Sprint. According to U.S. Cellular’s CTO, Michael Irizarry, U.S. Cellular values its long standing relationship with Ericsson and the company is impressed with its 5G-ready portfolio. He went further to state in a press release that the company knows that Ericsson is dedicated to meeting U.S. Cellular’s timeline for the deployment of 5G to its customers sometimes in the second half of the year. In relation to the deployment plan for the 5G, U.S. Cellular has revealed that it will first launch the 5G on its 600 MHz spectrum and later increase the effort to other spectrum in the country. Suffice to mention that in 2017, U.S. Cellular spent a total of $328 million USD on its 600 MHz spectrum licenses at the FCC’s 600 MHz spectrum auction. Also of import is the fact that the U.S. Cellular is one of the certified registered bidders in the upcoming FCC 24 GHz auction, which means the company could utilize that spectrum band for its future 5G services. The company also revealed that it will utilize the 5G technology to improve and expand its current fixed wireless services. It is important to mention that the provider is currently using the LTE technology to beam its Internet services to receivers in customers’ offices or homes, which are majorly in the rural areas. This is a provision aimed to generate a new stream of revenue for U.S. Cellular. The company have mentioned that they will expand these efforts, partially via the implementation of the 5G technology into some new locations with better speeds. The company also has plans to explore the use of additional 5G fixed wireless equipment, which could be installed at locations outside the customers’ homes, as Verizon and others are currently trialing. This would support faster speeds in the coverage area they deploy 5G technology in. To finance the construction of the 5G network and set up improvements for its LTE network like LTE M, 256-QAM, 4x4 MIMO, and LAA, U.S. Cellular has significantly increased its spending. According to a recent report, the operator already spent about $515 million USD on its capital expenditures as at 2018. This figure is expected to increase to between $625 million USD and $725 million USD in the course of 2019. The company’s CFO, Steven Campbell, said this is a significant increase in the speed of activity for the company’s engineering organization. He went further to state that due to the potential supply chain concerns that may crop up and the competing demand industry-wide, it may be impossible to fully achieve the plan this year. However, the company promised to keep its customers up to date with the development. U.S. Cellular is not the only provider planning towards the deployment of 5G on its 600 MHz spectrum. Other top operators like AT&T, Sprint, Verizon, and T-Mobile have all revealed their build-out plans for the 5G deployment. It is essential to mention that a large part of T-Mobile build-out plan is also reliant on the 600 MHz spectrum band of the operator.